U.S. agencies have “limited visibility over U.S. cash that enters the Afghan economy — leaving it vulnerable to fraud and diversion to the insurgency,” SIGAR said in a statement. Kabul’s international airport has long been seen as a virtual black hole for foreign currency, the perfect venue through which travelers can smuggle out hundreds of millions of dollars in U.S. aid that was intended for development projects. More than a year after The Washington Post first disclosed American concerns about the airport, a report released Wednesday by the U.S. special inspector general for Afghanistan reconstruction concludes that attempts to choke off the exodus of cash have been plagued by a hard-to-fathom set of obstacles. 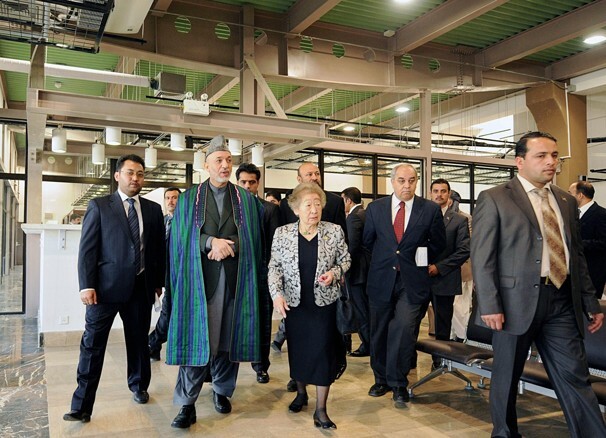 The installation of currency-counting machines to better trace illicit funds at the airport — one of the centerpieces of a plan by the Department of Homeland Security — was delayed by seven months because U.S. and Afghan officials could not agree on where to put them. Once the machines were installed, in April, Afghan customs officials began using them to count the cash but not to record serial numbers or to report financial data, necessary steps to determine whether the money being carried out of the country had been siphoned from aid flowing in. It took eight months for U.S. and Afghan officials to agree on where to place signs at the airport informing passengers of the requirement to declare cash totalling more than $22,000. Americans officials were unable to get approval to place the signs at the entrance to the airport, so they are now located beyond the point where passengers pass through customs. Washington (CNN) — Billions of U.S. taxpayer dollars spent to train, equip and support Afghanistan security forces may end up wasted, according to the watchdog of reconstruction spending. The special inspector general for Afghanistan reconstruction, retired Marine Gen. Arnold Fields, in what may be his final public event before he retires next month, painted a starkly pessimistic picture of what lies ahead in Afghanistan. The build-up of the Afghanistan army and police is a key element in the Obama administration’s plans to withdraw U.S. forces by the end of 2014. But Fields told the Commission on Wartime Contracting that the build-up is at risk. And Fields said it is not clear how Afghanistan will be able to sustain the big police and army building projects — such as barracks and training bases — once U.S. Forces withdraw. “These issues place the entire U.S. investment of $11.4 billion in ANSF (Afghan National Security Forces) facilities construction at risk of not meeting Afghan needs or intended purposes and resulting in a large degree of waste,” Fields said in his prepared statement to the commission. Members of Congress repeatedly have criticized Fields for not being more aggressive in watching over the more than $56 billion in Afghanistan reconstruction. He has said it took time to establish his watchdog agency in 2008 and oversight in a war zone is difficult and dangerous. Fields admitted that American taxpayers are “wary” of the U.S. investment in Afghanistan. ARLINGTON, VA, Jan. 19, 2011 – The independent and bipartisan federal Commission on Wartime Contracting in Iraq and Afghanistan will conduct a hearing on Jan. 24, 2011, on problems in U.S.-funded construction projects in Afghanistan. Witnesses for the Capitol Hill hearing, “Recurring Problems in Afghan Construction,” include Maj. Gen. Arnold Fields (USMC, Ret. ), the departing Special Inspector General for Afghanistan Reconstruction; military and federal-civilian officials; and a panel representing key contractors performing work in Afghanistan. The hearing will begin at 9:30 a.m. Monday, Jan. 24, in Room 216 of the Hart Senate Office Building, 2nd and C Streets, NE, Washington, DC. The hearing is open to the public and to news media. The U.S. government has committed billions of dollars to construction projects in Afghanistan since the anti-Taliban intervention was launched in 2001. Goals include supporting U.S. and allied troops, providing facilities for the Afghan government, reconstructing damaged properties, and promoting economic development. The lead agencies involved are the Department of State, U.S. Agency for International Development, and the Department of Defense, all of whom employ large numbers of contractors. Projects include the $300 million Kabul power plant, schools, hospitals and clinics, prisons, and facilities for the Afghan National Army and Police; plus barracks, airfields, clinics, dining facilities, and other support for American and allied troops in the country. WASHINGTON, Jan. 14 (UPI) — After no less than 10 quarterly reports to Congress, 40 percent of $56 billion — $22.4 billion in U.S. taxpayer funds — allocated to civilian projects in Afghanistan cannot be accounted for by the Special Inspector General for Afghan Reconstruction. SIGAR employs 50 auditors, many of them “double-dippers,” who collect both government pensions and six-figure salaries, but none of them ever conducted required forensic or contract audits. More than 100 cases of corruption — both U.S. contractors and Afghan subcontractors — were ignored. U.S. Government Accounting Office auditors look at programs but are not shown the uncompleted completion. U.S. Sens. Tom Coburn, R-Okla., and Claire McCaskill, D-Mo., led a team of Senate investigators that spent two years looking into what became the SIGAR scandal. WASHINGTON — The embattled top watchdog of U.S. contracting in Afghanistan announced Monday that he’s resigning days after vowing to resist congressional demands to step down. Arnold Fields, the Special Inspector General for Afghanistan Reconstruction, offered no explanation for his decision to leave. His resignation becomes official at the beginning of next month. “I depart confident in the knowledge that SIGAR is positioned to provide essential support to the president’s strategy,” he said. Fields’ resignation leaves vacant a key post in the Obama administration’s push for bringing greater accountability to U.S. contracting in Afghanistan. 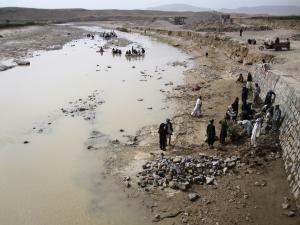 McClatchy reported in November that over the past three years, U.S. Army Corps of Engineers construction projects in Afghanistan have failed, face serious delays or resulted in subpar work, costing American taxpayers hundreds of millions of dollars and hobbling U.S. efforts to stabilize the country. Four senators accused Fields’ office of doing a poor job of scrutinizing how $56 billion in reconstruction money is being spent in the war-torn nation. The senators demanded Fields’ resignation in a letter to President Barack Obama late last year. But a report by the federal Council of Inspectors General on Integrity and Efficiency had fueled the calls for his resignation. The council recommended that the Justice Department consider revoking the special inspector general’s law enforcement authority and concluded his office had problems with hiring, strategic planning and investigative policies. The U.S. official assigned to combat corruption in the multibillion-dollar effort to rebuild Afghanistan, who has been criticized by lawmakers for incompetence and mismanagement, fired two top deputies Tuesday and pledged to focus on financial fraud and waste. Arnold Fields, the special inspector general for Afghanistan reconstruction, said that the organization’s upper ranks needed “new blood,” and he rejected the idea that the changes were made to keep him from being fired. “This is about making SIGAR a better organization,” he said, using the shorthand name for his office. Last fall, key members of Congress urged President Obama to dismiss Fields. Sen. Claire McCaskill (D-Mo. ), who chaired the contracting oversight subcommittee, joined GOP Sens. Tom Coburn (Okla.), Charles E. Grassley (Iowa) and Susan Collins (Maine) in calling SIGAR a “failing organization” in need of new leadership. The senators said that Fields’s office has failed to aggressively oversee the $56 billion the United States has committed since 2002 to improving schools, roads, electricity and medical facilities in Afghanistan. Fields said he removed John Brummet, the assistant inspector general for audits, and Raymond DiNunzio, the assistant inspector general for investigations. Their deputies will serve in acting capacities while Fields searches for replacements. DiNunzio will remain with the organization for 60 to 90 days as an adviser, Fields said. Brummet might also stay on for a limited period in a different capacity, Fields said. A federal watchdog indicated Thursday that this week’s raid on a local defense contractor is aimed at bringing accountability to those who have tried to take advantage of the situation in Iraq. 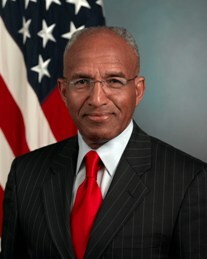 Stuart Bowen is the special inspector general for Iraq reconstruction, a position created by Congress in 2004 to provide accountability for the use of funds for Iraq relief and reconstruction. In an interview Thursday, Bowen said his office has more than 100 ongoing cases, including a case related to Wednesday’s raid on Lenoir City contractor EOD Technology. The IG said most of the cases are executed through task forces, such as the one that participated in the Wednesday raid. 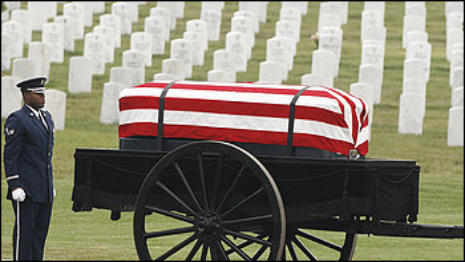 He added that the U.S. Army’s criminal investigation division ‘played a major role’ in getting that case put together. Bowen, a graduate of the University of the South, said his agency also works closely with the Defense Criminal Investigative Service, which is an arm of the Defense Department’s Office of Inspector General. ‘This is not the first, and it won’t be the last, time that we work with those agencies … as well as (Immigration and Customs Enforcement) to hold accountable those who have taken advantage of the chaotic situation in Iraq for their criminal, personal benefit,’ said Bowen. In a statement issued Wednesday, EODT officials said they didn’t know of anything that could have triggered the raid. ‘We obviously would not have been selected for some of the sensitive and important projects we handle for our country around the world had we not been thoroughly investigated before and found to be trustworthy,’ the statement said. Federal agents, assisted by the Lenoir City Police Department, raided EODT’s three-building campus on Old Highway 95, in Lenoir City, and an EODT facility in Roane County on Wednesday, and were seen carrying paperwork between buildings and escorting occupants of the buildings to their vehicles. By Thursday morning, activity at both sites appeared to be at an end. In recent years, EODT has faced scrutiny in court, in Congress and by military officials. In September, a report from the Senate Armed Services Committee alleged that EODT ‘partnered with local strongmen’ to support its operations in Adraskan, a village in Afghanistan’s Herat Province. The report said EODT had garnered a contract worth nearly $7 million to provide security at a facility in the village, and that the company assigned quotas to local strongmen or ‘notables’ to staff its guard force. Among those who recommended men for hire, the report said, was ‘General’ Said Abdul Wahab Qattili, who allegedly recommended some men who had previously been fired by another contractor for reportedly providing sensitive security information to a Taliban-affiliated warlord. The company also said the name of any Afghan hired by EODT was provided to the appropriate person, as designated by the contract, for approval of the hire. In October, a Kuwaiti manufacturer of temporary housing was among the plaintiffs that sued EODT in U.S. District Court, alleging that the company stole more than $1 million worth of prefabricated shelters. Neither EODT nor its officials named in the lawsuit could be reached for comment at the time. EODT has also clashed with some of its former employees. In 2009, the company sued five former employees for $80 million, and accused them of stealing company secrets to form a competing company. That suit was later dismissed. One of those former senior managers had been accused in a 2007 Army investigation of helping secure $2.5 million in contracts for EODT through inside information he received from an Air Force captain with whom he was having an extramarital affair. The Army threatened to ban EODT from government work because of allegations against the employee, but eventually decided against a suspension or debarment.